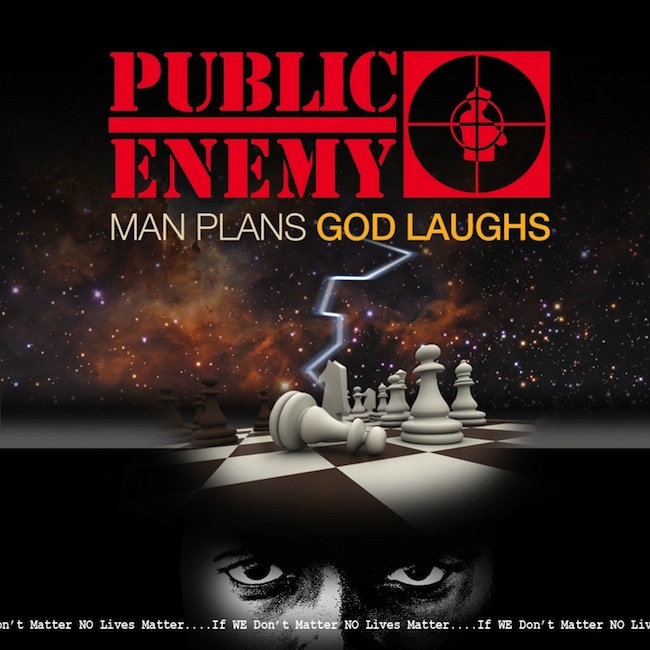 ‚Man Plans God Laughs,‘ is the brand new album by Hall of Famers Public Enemy. Chuck, Flavor, Lord, Griff, G-Wiz and the S1W’s return for another album, bringing you all new music. 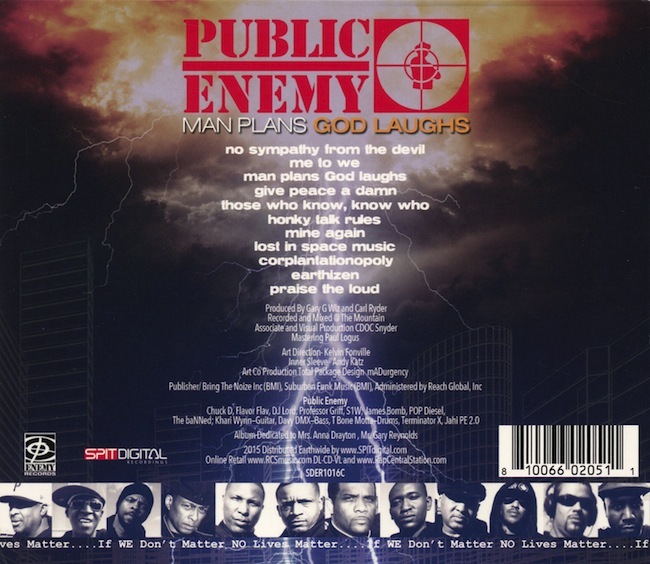 If you thought your favorite PE album was ‚Apocalypse 91,‘ wait until you here this one!